Saturday evening sees the African Champions League final clash between the reigning blood of two of Africa’s top leagues, Morocco and Egypt, as Wydad Casablanca seek to slay Al Ahly. Hossam Al Badry’s Al Ahly side are seeking to extend their record of eight titles to nine. With at least half of his expected team having previously tasted continental glory, Al Badry will be hopeful of victory despite the 1-1 draw in the first leg in Alexandria last week. Thanks to their away goal a goalless draw would be enough for Wydad to record their second title, which would be their first since 1992 and leave them trailing just one behind bitter city rivals Raja. If Raja fans are to fire any shots at them as they stargaze, it would be over the style of play. 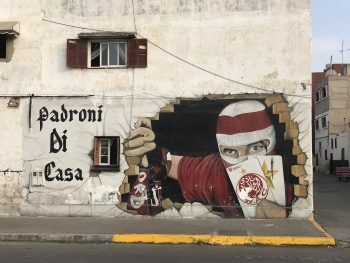 Wydad’s campaign has been that of functional football, shutting shop shop away from home and not being particularly attacking at home neither, but, with the aid of the noise of Stade Mohamed V, using their efficient attack to steer themselves over the line. In the quarter final, they needed penalties to do so. The midfield pairing of Salahedine Saidi and Brahim Nekkach has shone and typified Wydad. The duo are unlikely to feature when the top names in African continental football are mentioned, as exemplified by their omission in the African-based Player of the Year longlist, but they have been the very personification of their team. Nekkach, 35, has scurried around the pitch with the commitment, energy, bruising tackles and dark arts that would endear him to any football faithful. Next to him, the lumbering Saidi has also patrolled every inch of the central midfield area, picking his moments as to when to make runs into the box – as he did against Mamelodi Sundowns to head home. The elixir of edge-of-your-seat entertainment has come through Mohamed Ounajem. The winger’s explosiveness and delivery from the right has often provided the Houcine Amoutta’s side with counter-attacking relief and game-winning moments. His absence is a huge miss. Wydad will be boosted by the return of centre back Amine Attouchi, who was needlessly sent off in the second leg of the semi final after two bookable offences. That sending off saw Wydad wilt over the line as they spent the best part of the second half defending a 1-goal lead against incessant pressure. The form of Achraf Bencharki also provides encouragement. The departure of last season’s top scorer William Jebor mid-campaign saw Amoutta scrambling for a proven striker, only to stumble upon the now potentially erstwhile attacking midfielder when he tried him as a false nine. Yet there has been nothing false about Bencharki. He has shown the qualities of being a true nine. His composure inside the box, even when he was playing behind the striker, has never been in question and in these high-pressure games he has proven clutch when the key moments have fallen his way, like in the semi final when the team, and stadium, was toiling on a one-goal lead with 10 men. Al Ahly themselves come into this leg with notable absentees, though they will still hope, due to the experience in their ranks, that the absences are mitigable. Their freewheeling Tunisian left back Ali Maaloul is an outstanding performer and his decisiveness in the final third, especially in games of this magnitude, means there will be a huge void. Likewise, veteran midfielder Hossam Ashour also comes with bags of experience but will miss out due to injury. Saleh Gomaa, star player for Egypt when they won the U20 AFCON in 2013, also misses out through injury. The 23-year-old has come of age this year after disciplinary issues and would have been key as Al Ahly seek to unlock a watertight Wydad defence. Several issues for Al Ahly, then, not to mention their 2-0 loss to Wydad in the same fixture in this year’s group stage. But if there is a club in Africa with the history and the might to go to very difficult places and get very difficult results. Al Ahly, as they have shown with their results in Tunisia in the quarter final and semi final, are unrivalled. A jam-packed Mohamed V Stadium, where Wydad have won every single game this campaign, will be the ultimate test. With no Mohamed Ounajem, Wydad will be looking to Bencharki more than ever to pick his moments around the penalty area. It’s a testament to his form that despite his slight build, and Herve Renard’s strong preference for tall strikers, he has finally been recalled to the Morocco national team. It’s easy to see why Renard has taken a liking to El Haddad and has given him more of an opportunity than, say, Ounajem. His style is more orthodox and classically direct in terms of getting to the byline, with the tricks used sparingly. That makes El Haddad nearly as crucial as Ounajem to his team. Excellent in the quarter-final away leg against reigning champions Mamelodi Sundowns, he can be just as effective on the counter-attack. Want to quickly endear yourself to your club’s supporters? Becoming the first player to score in two Cairo derbies in the same season since Mohamed Aboutrika isn’t a bad start. Unlike the other signing in attack, the Moroccan Walid Azaro, the Nigerian has been an instant hit since his move to Al Ahly last year. His all-round ability means he is just as comfortable playing on the wing, but it’s his sharpness in front of goal, especially his aerial prowess, which could be key. Already with 2 African Champions League titles to his name, Said is going for the hat-trick. The 32-year-old is a man that discreetly – and, mostly importantly, effectively – goes about his job. The attacking midfielder has a club goal scoring record most strikers would look at with envy, and he is also selfless in assisting others. His unfussy style of play won’t catch the eye but his decisiveness could.